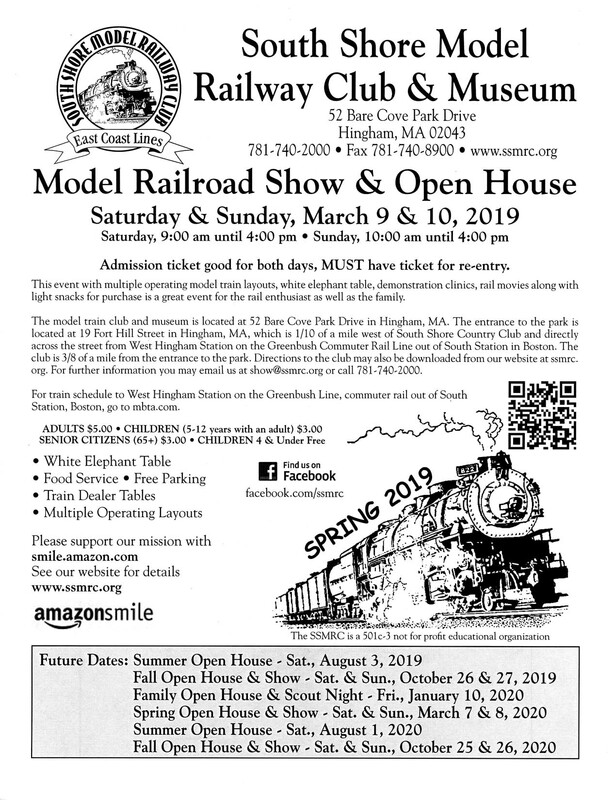 The South Shore Model Railroad Club offers interested parties the opportunity to rent space during both the Spring and Fall Shows and Open Houses. 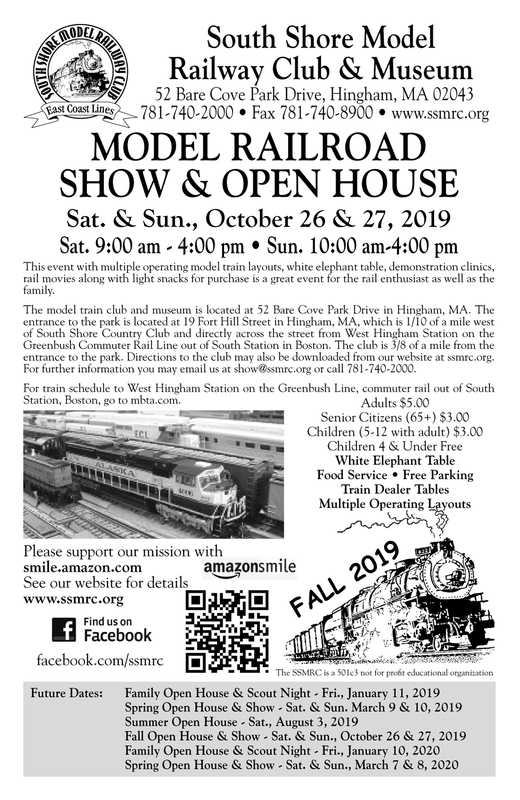 This space may be rented by railroadiana/hobby dealers, railroad historical groups, modular railroad layouts, or other non-railroad-related groups with club approval. Note: No table extensions or displays that exceed the table footprint will be allowed. Dealer will be responsible for any damage done to tables. Vendors will be allowed to set up their tables between 3:00 and 9:00 p.m. the Friday prior to the show, or between 7:00 a.m. and 9:00 a.m. the Saturday morning the show begins. Vendors are expected to remove all materials from the club within one week of the end of the show. The SSMRC will do its best to accommodate special requests for table location and the need for electricity. Location factors will include number of tables rented, number of years attending show, and special requests that will limit flexibility. Covers, drapes or any other equipment or enhancements are not included in the table rental. Please click on the links below for dealer information, show flyers, or dealer table applications.